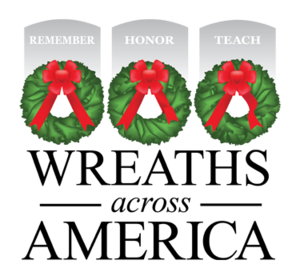 Please help us Remember, Honor, and Teach on Saturday, December 14, 2019 at 8:30 AM by sponsoring a wreath, volunteering, or inviting friends to help. Wreath cleanup details for January 19, 2019. There will be no vehicular access permitted on cemetery grounds until 3 p.m. Family pass holders and volunteers with handicapped placards only will be permitted to park in the Arlington National Cemetery parking garage beginning at 7 a.m. on a first-come, first-served basis. Volunteers must remain in their vehicles until the cemetery opens at 8 a.m. Uber and taxi drivers using Memorial Avenue must drop off adjacent to the Arlington Cemetery Metro stop. There are spots for 30 buses to park there on the same basis. Public parking can be done at the North and South Pentagon parking lot. We encourage the use of the Metro system.
? Give vehicles and heavy equipment the right of way and let them pass in roadways.
? Remove only WAA wreaths. Leave all other wreaths or decorations in place.
? 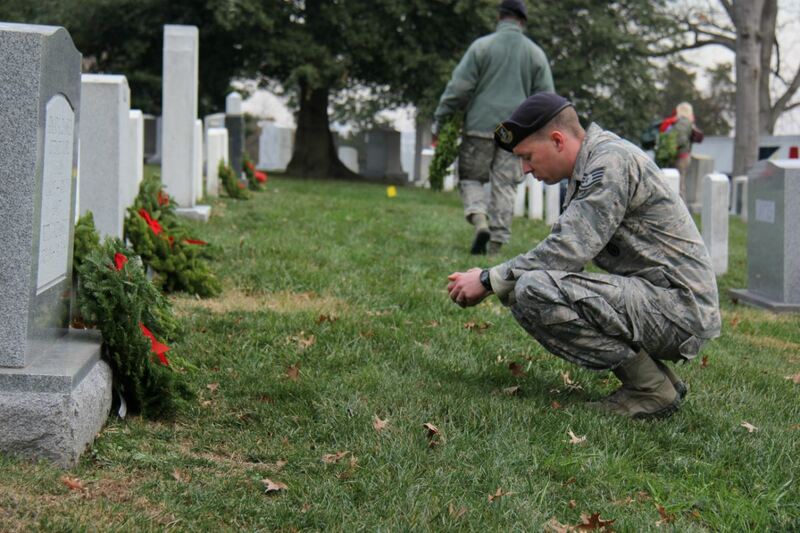 Place wreaths in dumpsters positioned throughout the cemetery and pack them tightly.
? When dumpsters are filled, do not pile wreaths next to them. 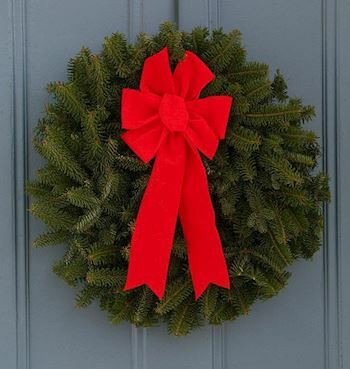 Carry wreaths to unfilled dumpsters.
? Refrain from jumping or climbing on wreaths in dumpsters to compress them. • The Arlington National Cemetery parking garage opens at 7:00 a.m. for Family Pass holders and Handicap Placards ONLY on a first-come, first-served basis. • Volunteers who park in the Arlington National Cemetery garage must remain in their vehicles until 8:00 a.m. when the cemetery opens to the general public. • There is no charge for garage parking from 8:00 a.m. - 12:00 Noon. • Vehicles remaining after 12:00 Noon will incur the normal parking fee. • No vehicles will be permitted on ANC grounds until 3:00 p.m.
• Cemetery gates will open at 8:00 a.m.
• Authorized pedestrian entrances are Memorial Avenue (8:00 a.m. - 5:00 p.m.); Ord and Weitzel Gate (8:00 a.m. - 5:00 p.m.); Old Post Chapel Gate (8:00 a.m. - 5:00 p.m.), and South Gate (8:00 a.m. - 12:00 p.m.). • Uber, Lyft, and Taxi drivers utilizing Memorial Avenue MUST drop off adjacent to the northern escalators of the Arlington Metro stop and then proceed to RTE 110 in order for traffic to flow. 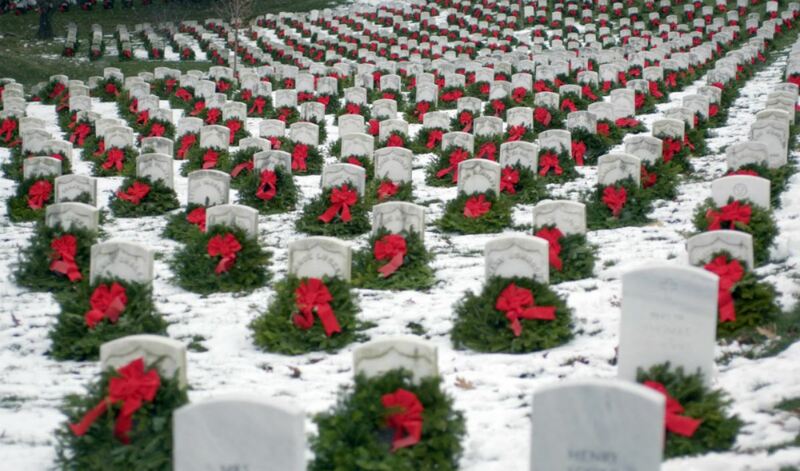 • Wreaths Across America has coordinated for available public parking at the Pentagon South Parking lot. 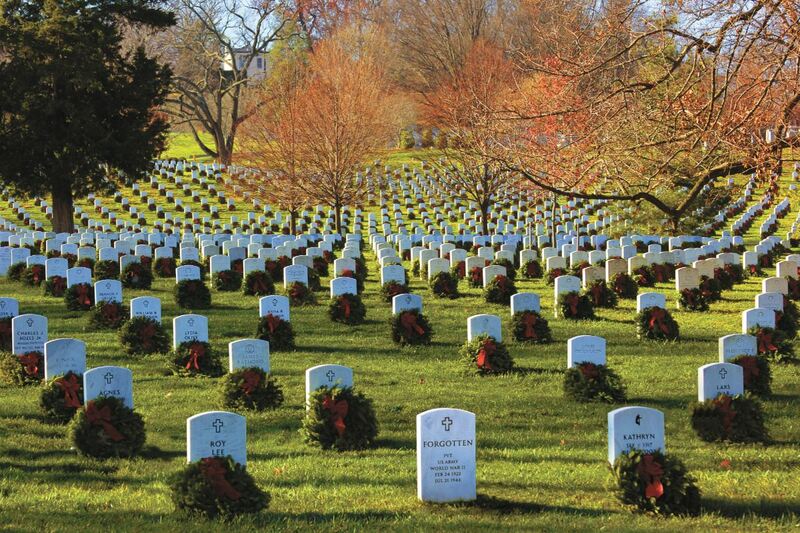 Thank you so much for supporting Arlington National Cemetery and Wreaths Across America! I’m donating 3 wreaths, one wreath for each of my children. God Bless Cathy Powers and Her Mission and God Bless All Of Our Veterans, Past and Present. Check out 3,996 "Remember" recent messages from our supporters. Click "View Remember Wall" to see them all. 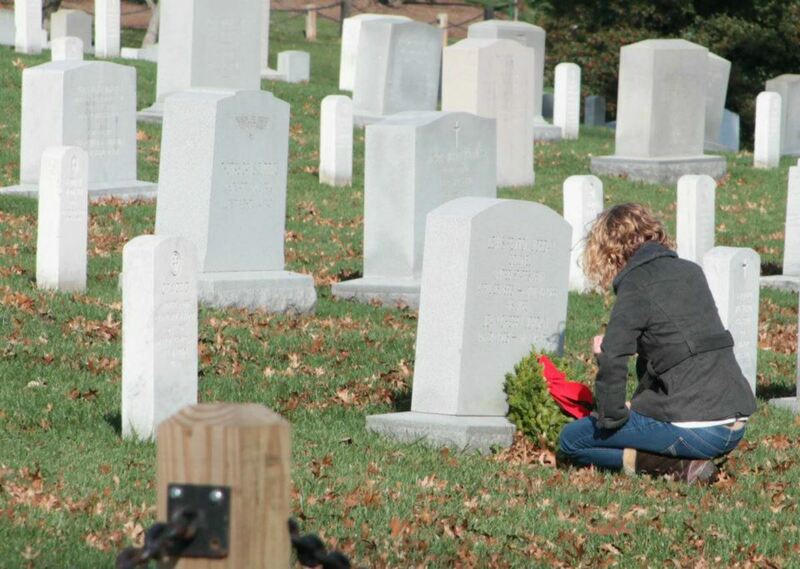 Location Coordinator: Amber C.,Wayne H.,Wreaths Across A. Due to anticipated congestion at the Arlington National Cemetery Metro stop, recommend exiting via the Rosslyn and Pentagon Metro stops and walking to the cemetery. From these locations it is a short 15-minute walk to one of the cemetery entrances. If taking the Rosslyn exit, recommend using the cemetery’s Ord & Weitzel gate by walking along the North Meade Street sidewalks. If taking the Pentagon exit, recommend using the cemetery’s South Gate entrance. General public parking will be available at the Pentagon North Parking Lot (Lanes 50-60), South Parking Lot (Lanes 1-18) and the Pentagon City Mall parking garage (small fee associated). There will be volunteers and signage positioned in the parking lots guiding visitors to walk to the nearest cemetery entrances. For those parking in Pentagon South Parking and Pentagon City Mall Parking garage, recommend walking to the cemetery’s South Gate entrance for screening and entry to the grounds. For those parking in Pentagon North Parking, recommend walking to the cemetery’s main entrance on Memorial Ave. by using the Route 27 pedestrian walkway. The Arlington National Cemetery Welcome Center parking garage will ONLY be available to ANC Family Pass holders who pre-register on a first-come, first-served basis. ANC will publish a registration system on Dec. 1. Those who pre-register will need to provide their family pass and confirmation email and will need to go to Pentagon North parking lanes 61-63 beginning at 7 a.m. They will then be escorted by law enforcement into the cemetery's Welcome Center parking garage. Once all spaces are filled (600 available), all family pass holders will need to park at the Pentagon's North or South Parking Lot and walk to the cemetery. There is no vehicle access on Memorial Ave. and significant road closures in and around the main entrance. Visitors attempting to gain access to Memorial Ave. and park in the parking garage without pre-registration will be directed by law enforcement to park at the Pentagon. For the latest information and driving directions to Pentagon North and South Parking, visit www.arlingtoncemetery.mil. The Arlington National Cemetery gates (Main Entrance, Southgate, Ord & Weitzel, and Old Post Chapel) will open to the public at 8 a.m. All visitors must pass through the cemetery’s security screening process before entering the cemetery. 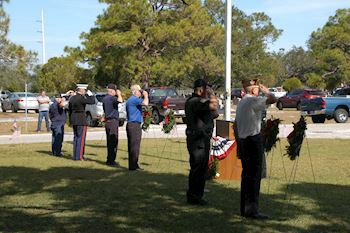 There will be a brief opening ceremony inside the cemetery at the McClellan Gate at 8:30 a.m. General wreath placement will also begin at this time with the exception of those trucks in vicinity of the opening ceremony. 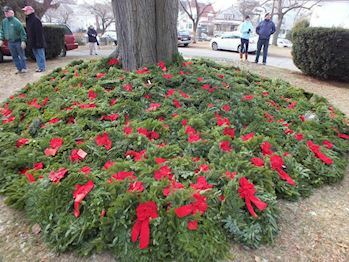 They will begin wreath placements no later than 9 a.m. 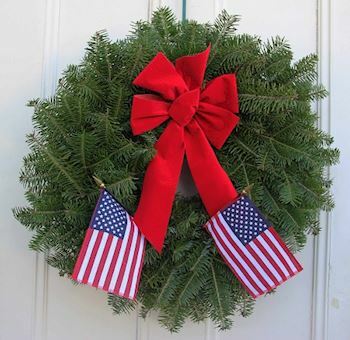 Welcome to Running Fir Wreaths (VA7777)! Our location fundraising group is proud to support Arlington National Cemetery and to help honor and remember as many veterans as possible. Please click "View" to learn more about our effort and then click "Volunteer" to join us for National Wreaths Across America Day. Thank you so much! Welcome to Team Bear (VA0080)! Our location fundraising group is proud to support Arlington National Cemetery and to help honor and remember as many veterans as possible. Please click "View" to learn more about our effort and then click "Volunteer" to join us for National Wreaths Across America Day. Thank you so much! 437 groups support us. Click "View Our Groups" to see them all.